The summer season is upon us. For some, it’s already in full swing. For me, this means in about 5 degrees I will completely lose interest in solid foods and survive on smoothies and popsicles. Last year, I decided to combine my summer habits and explore some fun popsicle combinations that are nutritious and not full of sugar like the store-bought pops. 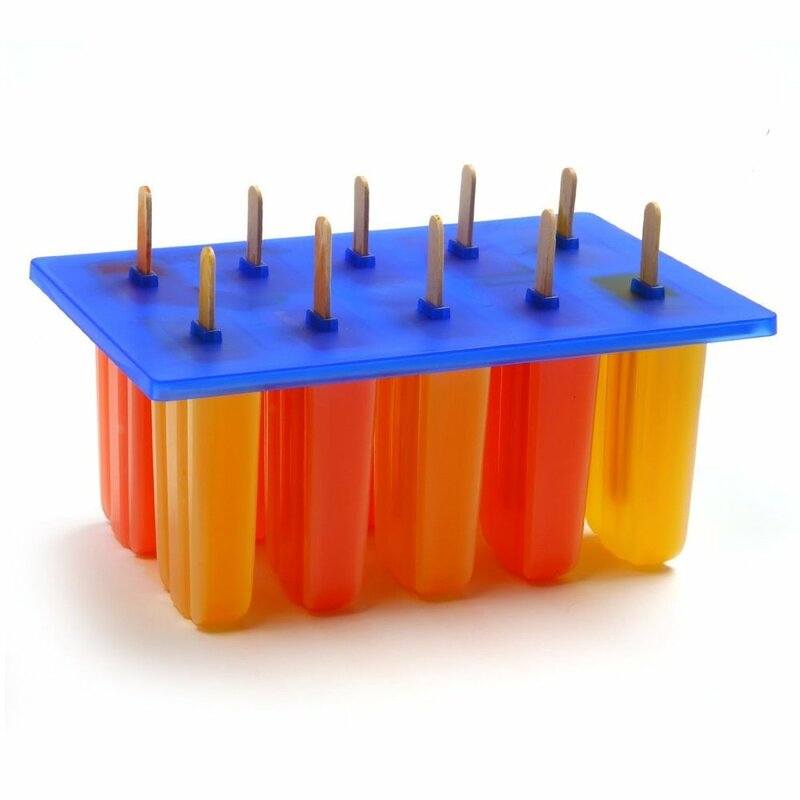 The first thing I did was get myself a classic popsicle mold, and then got familiar with some popsicle recipes. The most important thing I learned was that fruit loses its sweetness when it freezes, which can lead to some bland or bitter blends if sweetener isn’t added. To keep my pops nutritious, I add Stevia or maple syrup, instead of white sugar. Not necessary, especially during bathing suit season. Adding some more sweet is the only secret to turning any smoothie into a frozen treat. Of course, you'll need some supplies. I love the Norpro Frozen Ice Pop Maker from Amazon and stocked up on some sticks to last the whole, hot summer. This is the first recipe of Summer 2017 -- stay tuned for more sticked treats! Blend almond milk, strawberries, and Stevia until smooth. Add about 1 tbsp of chia seeds to each popsicle mold. Pour strawberry milk mixture into each mold. Leave the molds in the fridge for a couple hours so the chias get big and puffy. Remove from fridge, add sticks to the mold, and place in freezer.